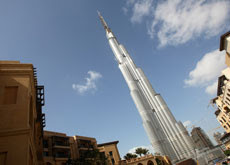 OneLuxuryTravel.com invites you to begin your Dubai sightseeing with Burj Khalifa, the tallest building in the world. 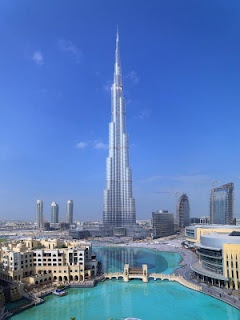 The Burj Khalifa skyscraper is a world-class destination and the magnificent centerpiece of Downtown Dubai , Dubai's new urban masterpiece. 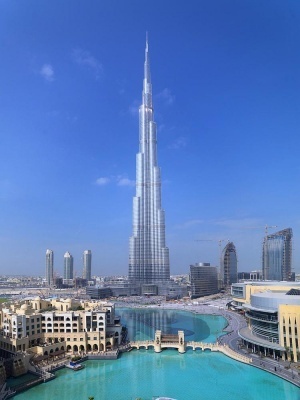 The world's tallest building is surrounded by hotels , must-visit shopping destinations and a world of entertainment options. Exclusively located in Burj Khalifa, the world’s tallest building, Armani Hotel Dubai will be the first hotel to bring to life the Stay with Armani promise. Armani’s signature style is woven into each of the 160 guest rooms and suites. Guest rooms are located on levels five through eight of Burj Khalifa, with suites on floors 38 and 39. The Armani Residences will complement the Armani Hotel and provide a complete lifestyle experience. The one- and two-bedroom luxurious residences, located on levels nine through 16 of Burj Khalifa, have been personally designed by Giorgio Armani himself and will be furnished with a special collection of furnishing from Armani/Casa.